At the end of the Easter holidays I took a trip to my local haberdasher’s, intending to buy cotton but, as often is the case, leaving with a selection of fabric. My reason for choosing this selection was mainly to experiment with different fabrics. 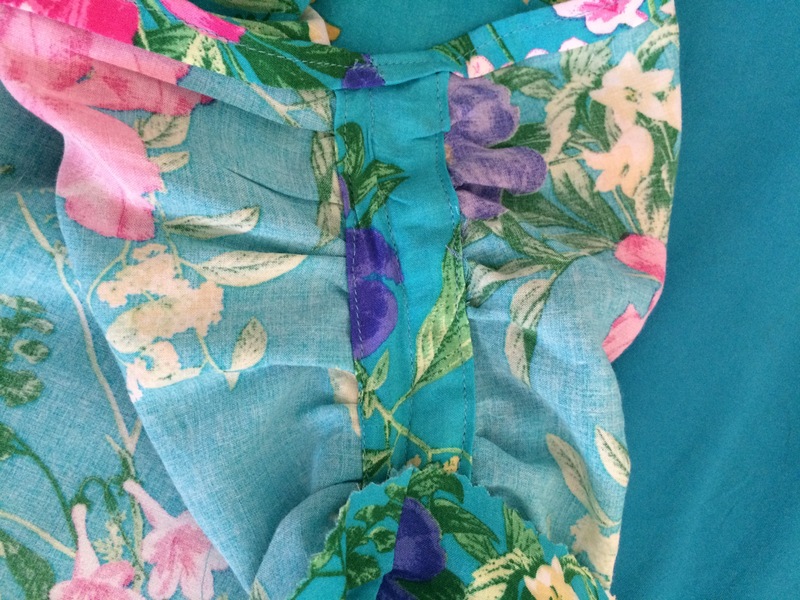 The floral is viscose, the striped is seersucker. The diamond is stretch jersey and the lilac is crepe de chine, apparently. 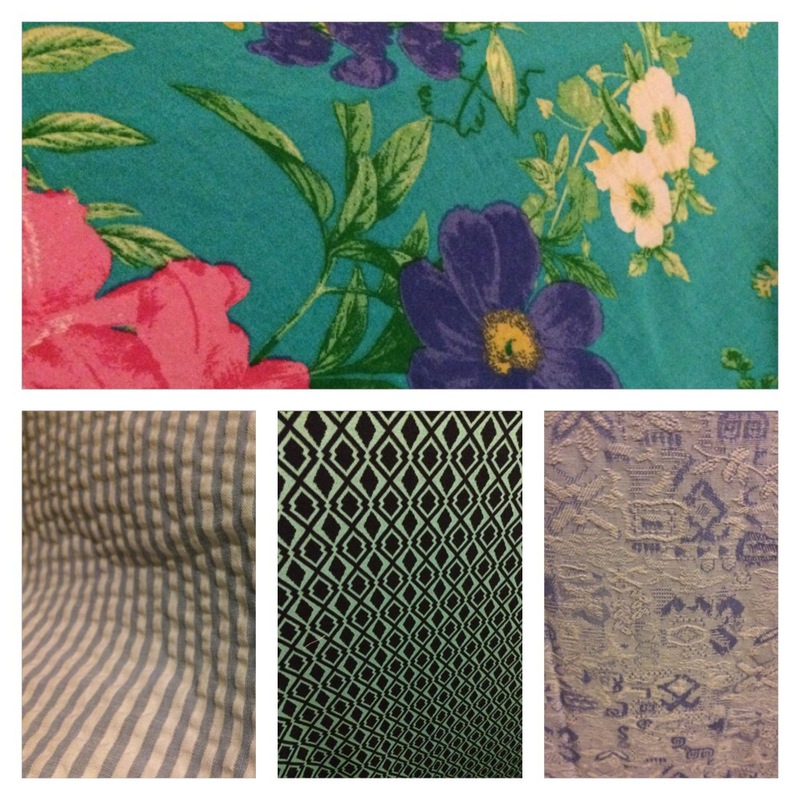 All were cheap at £4 per metre except the crepe which was £10, but I liked it as it is so different. The improved weather and new term caused me to reassess my work wardrobe, and particularly my me-made items. I haven’t actually made that many dresses to date, and as a couple were Christmas ones, and there are another two that need repairs and/or perhaps didn’t quite end up with the finish I hoped, I decided I needed to make more dresses. 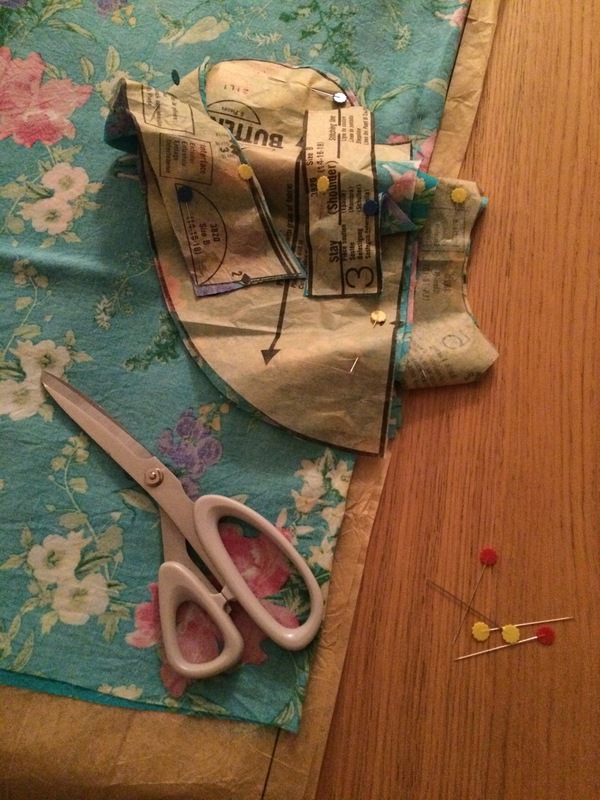 I didn’t fancy faffing with fastenings, so after quickly checking through my patterns, moved over to my vintage stash. 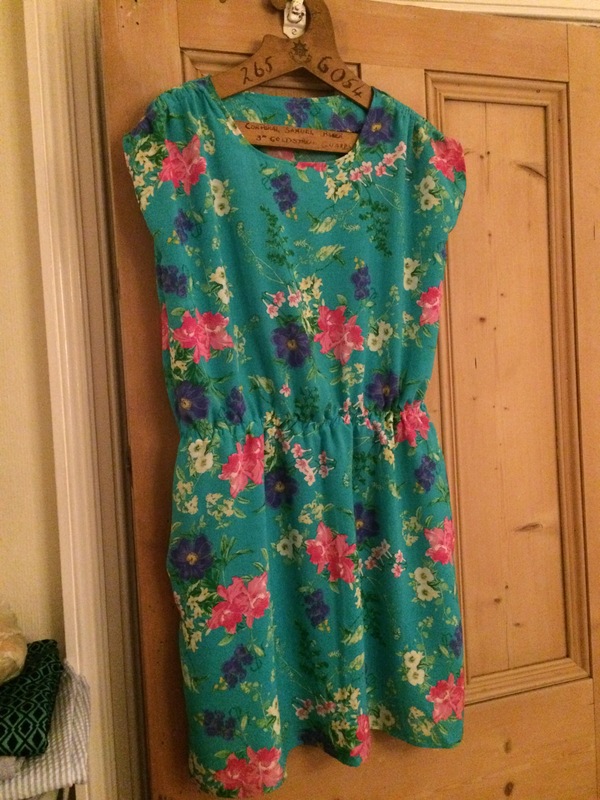 I settled on this Butterick which I had made up before as one of my very first (and now slightly fraying) makes. It’s over six months since I first made that dress, and I would like to think I’ve learnt a lot about sewing since then. This made me determined to improve both the external and internal finishes second time around. I chose the viscose as it was soft and summery, and although not one of the suggested fabrics, I thought the drape would work well. To be honest, I cut out the pattern pieces in a hurry and didn’t take a great deal of care. 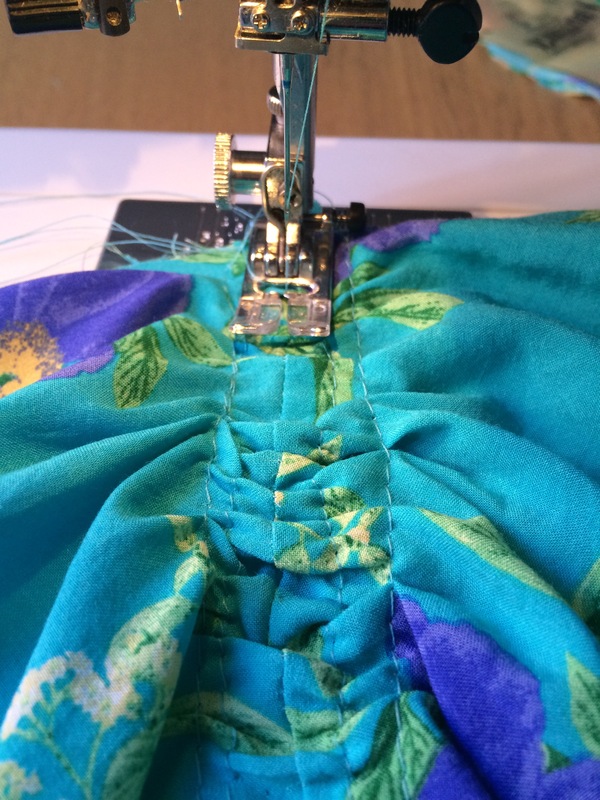 There was a hole near the edge of the fabric – I think because it was the end of the bolt – so that dictated where the hem would be and I hacked off the other side to match. The make came together in a few hours, mainly whilst watching Labyrinth on Channel 5. I took extra care with the gathers on the shoulders, although ultimately I’m not sure they are quite as they should be. The fabric was nice to work with and behaved well. It didn’t fray and held creases from pressing. Last time I messed up attaching the stays which go on the inside of the gathers and cover up all the loose ends, so I followed the instructions more carefully and am happy with how they turned out. 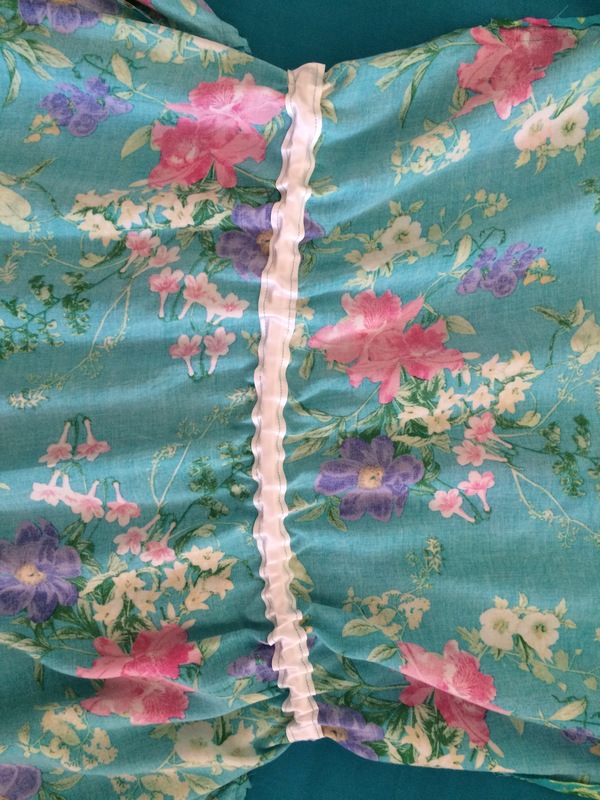 I French seamed the insides, all but the pockets because I wasn’t sure how this would work with the method of attaching, and the shoulder seams incase it interfered with the gathers. Last time I cut a wobbly strip of fabric to encase the elastic around the waist, but this time followed instructions and attached bias tape. I didn’t lap the ends but I think it will be ok. Once completed, the only modification I had to make was to sew up the seam below the arm holes as they came down so low, clearly exposing the side of my bra. They are fairly low on the pattern picture which made me feel better. Now altered, they are possibly a tiny bit snug, and seem to have adopted the appearance of sleeves rather than straps, but I don’t mind too much. 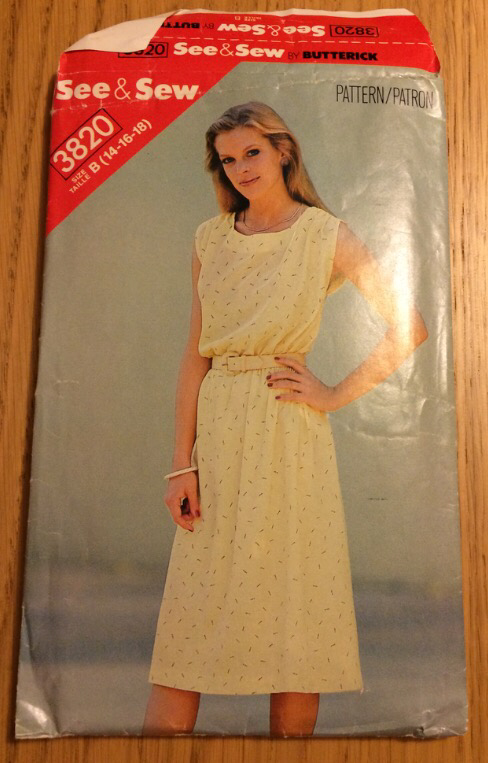 I would make more of these, but am also on the lookout for similarly simple summer dress patterns. 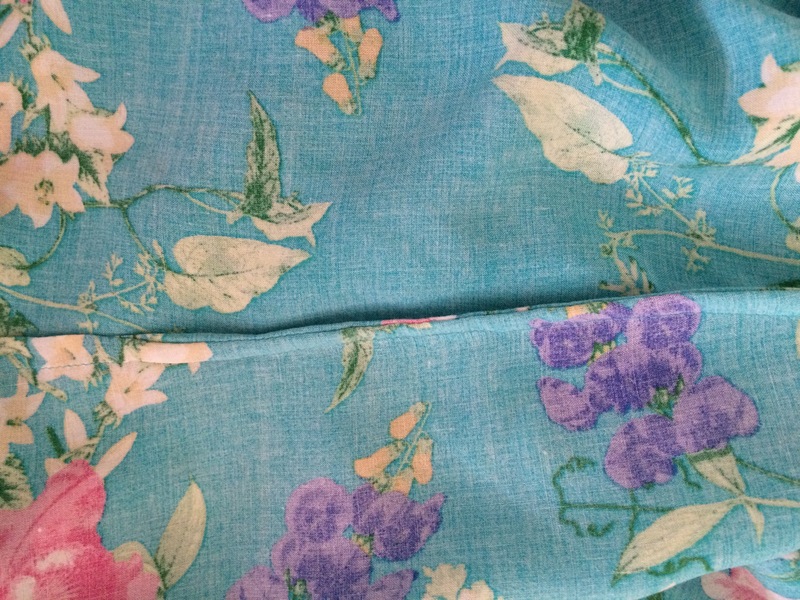 I am pleased with the fabric, fit and finish, and feel like it is much improved on my last version of this pattern. 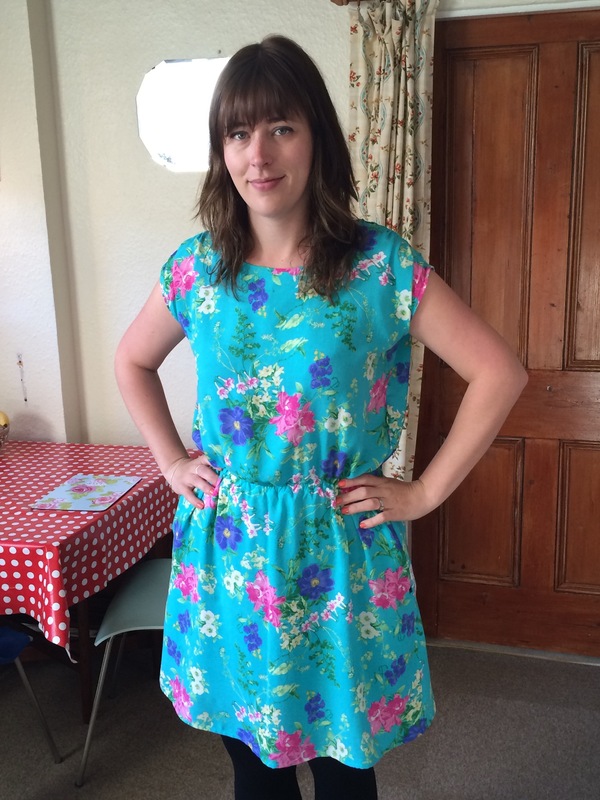 Oh, and first one in the bag for Vintage Pattern Pledge 2015! 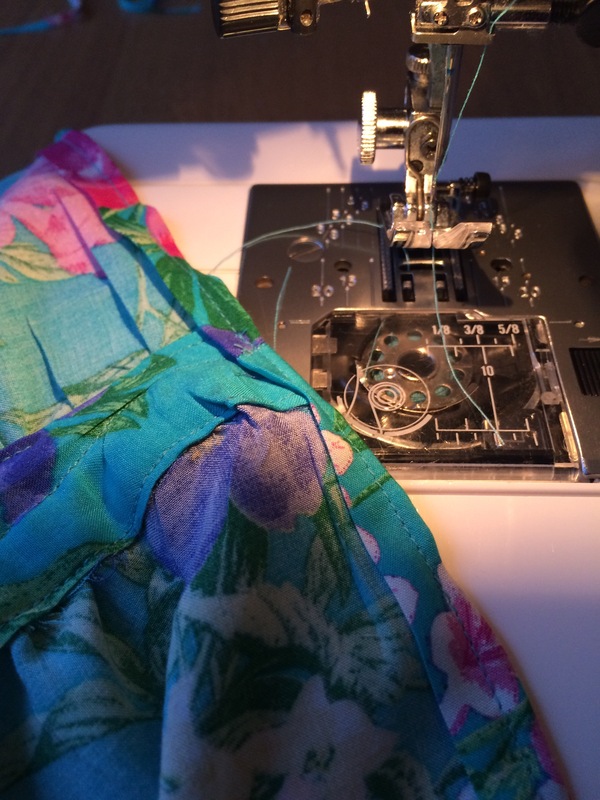 Do you have a summer staple pattern or selection of patterns? I would love to know. I will concede that I am impressed by the skill involved. I would be so bad at this! I love this color and print. You did a great job on all the inside details 🙂 It looks great on you. Really lovely! The fabric is so pretty and it looks great on you. I think Colette’s Myrtle is similar in style and is apparently very easy. It’s on my to-sew list, and is slowly nearing the top. Great range of fabrics! If that isn’t a summery dress I don’t know what is! That’s great how you made it better this time round. Thank you 🙂 I know, lovely and summery, just a shame about the weather now! I like the black and white and the flowery versions. So many nice details. I am only half way through my first vintage pattern, but I’m getting there!